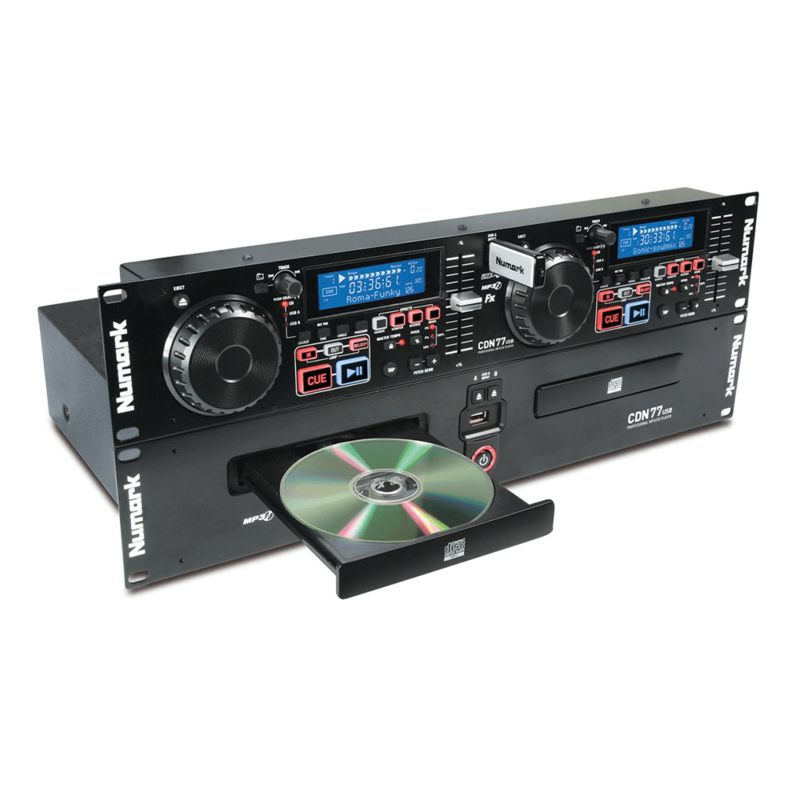 CDN77USB is a Dual USB and MP3 CD player designed for professional DJs. USB drive support allows you to put your entire digital music library on a USB flash or hard drive and use it at a gig. if you’re a DJ transitioning to using MP3 files, CDN77USB is ideal for you because it allows you to still use your entire library of CDs or MP3 CDs. 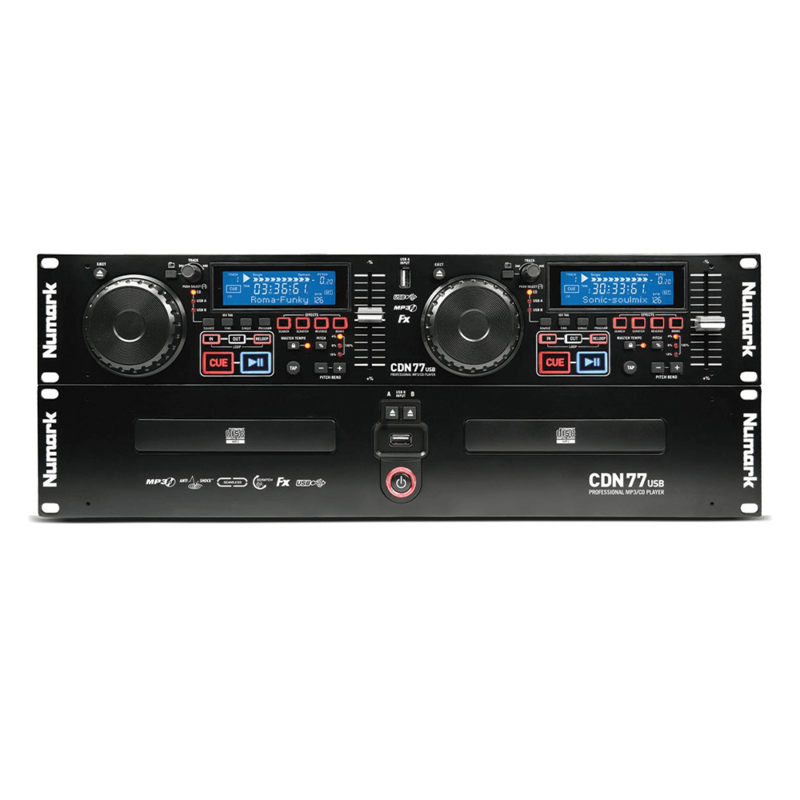 In addition, CDN77USB comes loaded with features like Master Tempo, Scratching, Seamless Loop, Pitch Control, Reverse and Brake effects and an Auto-BPM counter, making CDN77USB an affordably priced unit with premium features. For DJs whose libraries live on their computer, CDN77USB is a perfect solution. Thousands of songs can be loaded from a computer onto a USB flash or hard drive, which can then be accessed from either of the CDN77USB.